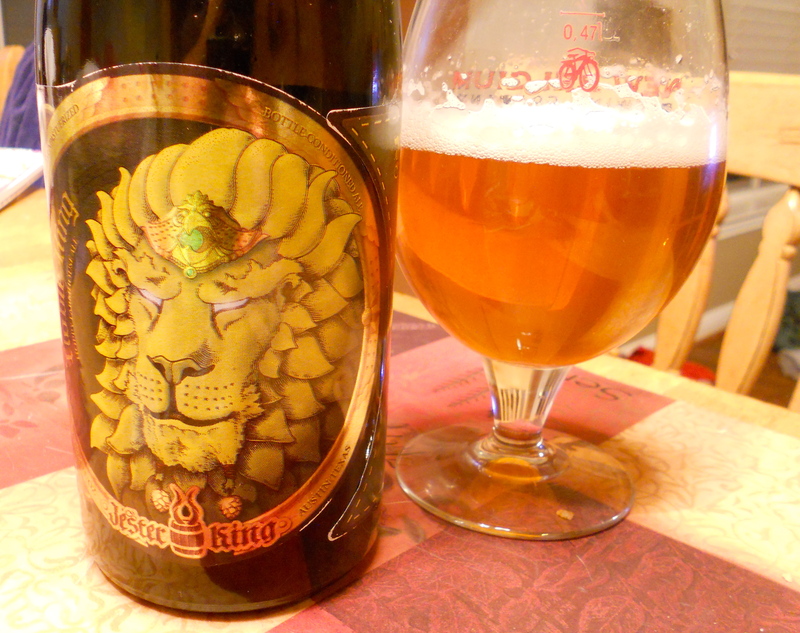 I am a Jester King fanboy, but I have my limits, and Gotlandsdricka is well beyond those. Allegedly the beer of the Vikings, you’d have to be a Viking to enjoy this stuff. This was astringent and bitter and overly fizzy with an assortment of odd burnt wood flavors that were completely unpleasant. 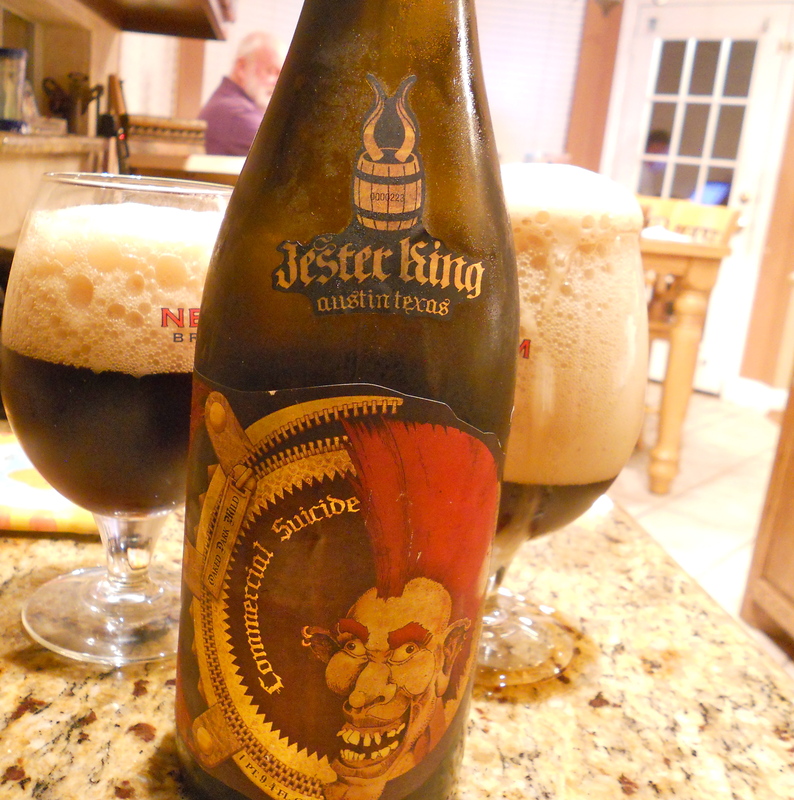 I choked it down, but I did not enjoy it in the least, and while I understand what Jester King is trying to do with all of these styles, this one is a huge swing and a miss, 3/10. I have never seen a naked nun, nor have I ever seen a nun that I would like to see naked. 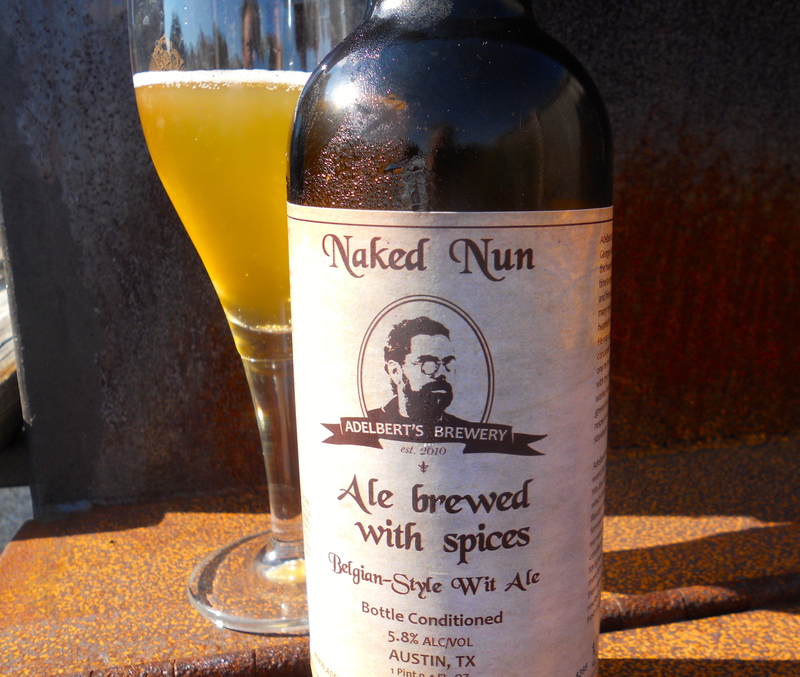 I am sure there are some who find the idea of a nun in the raw appealing, arousing even, which is why I am terrified of googling ‘naked nun’ to see what others think of this fine beer from Adelbert’s Brewery, one of Texas’ newest breweries*. This wit poured a golden yellow, hazy from the yeast, with great lacing in the glass. It had a mild lemon peel aroma and taste, with some soft herbal notes as well (which tasted more like sage to me rather than the coriander noted on the label, but what do I know), and just a touch of funkiness from the yeast. This is not a ground breaking wit, but it is quite nice, 6.5/10, and based on the strength of this beer, I am looking forward to drinking Adelbert’s other brews. *I keep saying this, but it bears repeating: Texas may not have the depth and breadth of craft brewers that the Pacific Northwest or Northern California has, but it is gaining ground and doing so quickly. 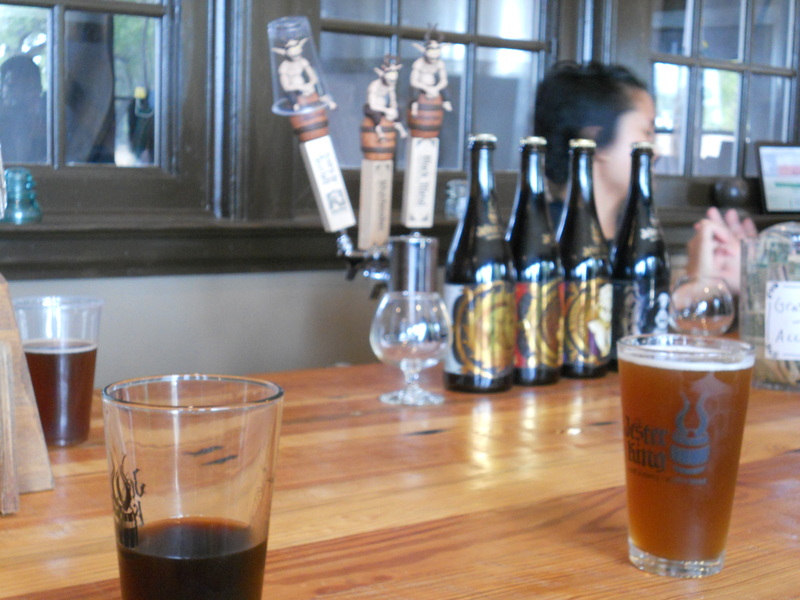 It seems as if a new brewery opens in Texas every other week, and most are quite good. At this pace, Texas will soon be in the top tier of beer states. Yet another outstanding beer from Jester King, The Noble King Hoppy Farmhouse Ale tastes of green apples, clear spring days, freshly cut grass and Magnolia trees in bloom. Actually, a day like that would be awful for me, as I’d be laid up sneezing and coughing and my eyes would be red, itchy and alternating between dried out and watery, but I imagine that a day like that would be great if I did not get hay fever, and this beer is as great as a day like that should be. 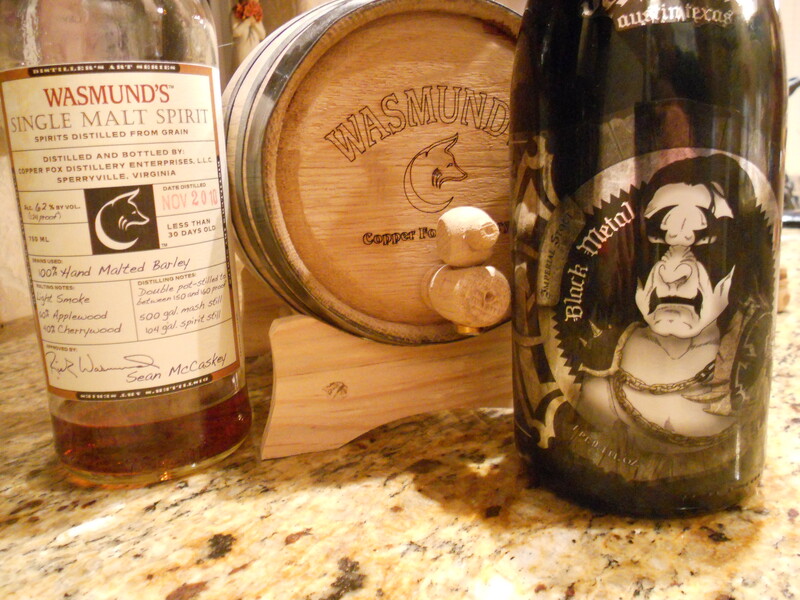 What the hell, let’s add some unicorns and wood nymphs to the mix while we are at it, because this beer is that good. It is a hazy orange amber color, with a fluffy head, and some aggressive lacing running up the side of the glass. The Noble King is very hop forward, with the farmhouse yeast bringing a wild earthiness to the aroma and the taste. This finishes dry and crisp, with a tart fruity aftertaste and a velvety mouthfeel. Excellent beer, 8.5/10. I know Texas is rarely mentioned as a hot spot of the American Craft Beer Culture, but I consider myself lucky to be able to drink the beers of the mighty Jester King. 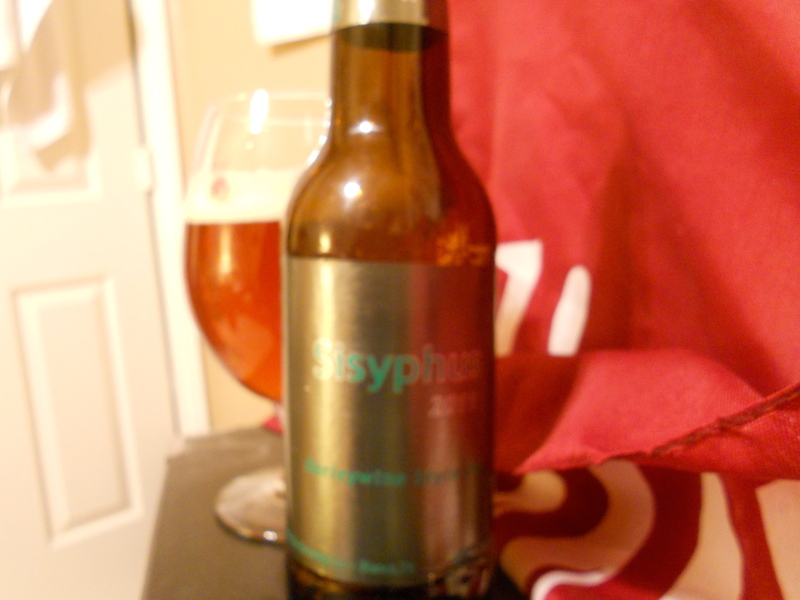 I am a fan of Real Ale Brewing Co., and I am particularly a fan of their Sisyphus Barleywines. The 2011 vintage is hot off the bottling line, and is a tasty little treat. At over 11% ABV, it is a warming drink for a cold night, with plenty of toffee, dried fruit, and floral hops in the flavor profile. If anything, it may be a tad too hot, and will probably age nicely. It is not as good as the 2009 Vintage (one of my top beers of the past year), but it is still an excellent barley wine, 8/10. A rare misstep by Jester King, the bottled Commercial Suicide just did not live up the lofty heights reached by some of it’s brothers and sisters from the Jester King family. I have had this Brown Ale on tap several times and have always enjoyed it, and had a special sour version of this made with wild yeast and drawn from a gravity keg when I visited the brewery this past summer, which was fantastic, but this was an over carbonated, overly yeasty, slightly woody, mess of a beer, 5/10. 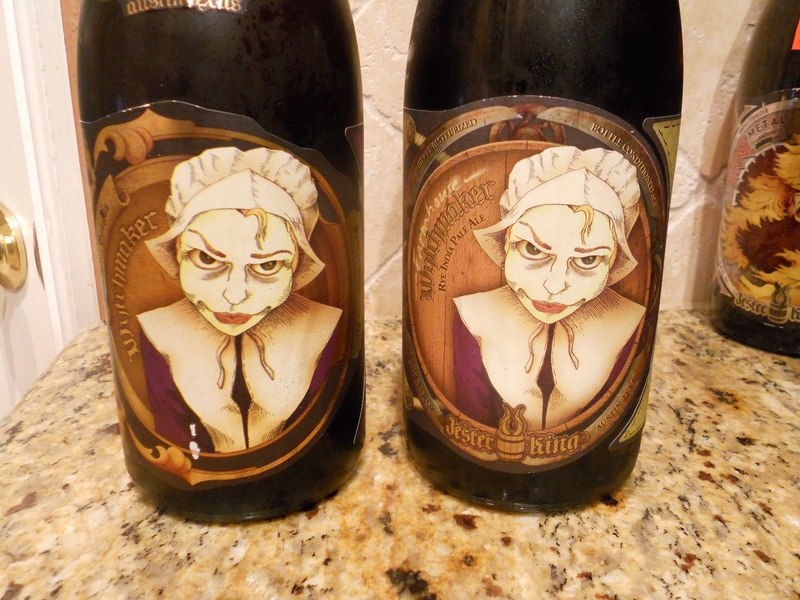 Jester King has a bunch of beers hitting the market soon, and I will try each and every one of them. 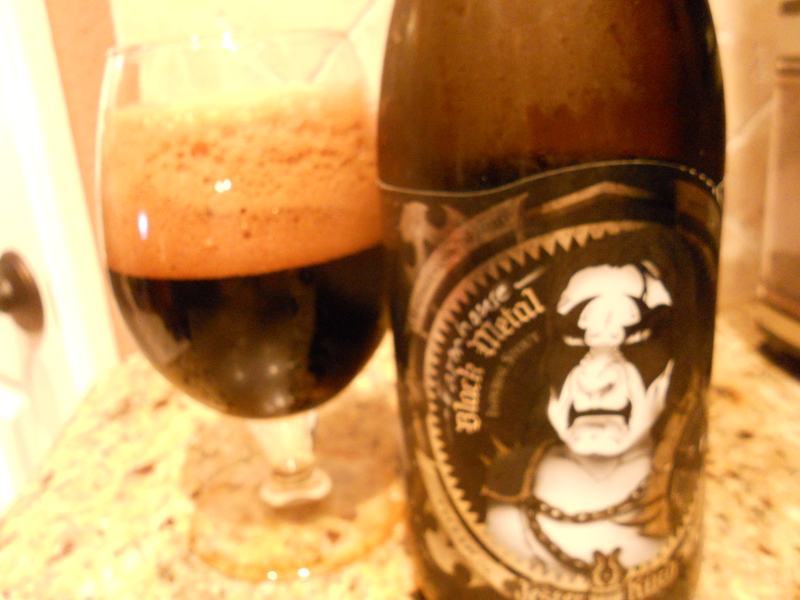 I am also hoping to make the trek back to Austin one of these days to get back to the brewery and try whatever they have tapped for the day, but this is the last bottle of Commercial Suicide I am going to pick up. You are currently browsing the archives for the Place: Austin category.